Through the cold, wet and windy weather we had a fantastic turn out for Safety Last! 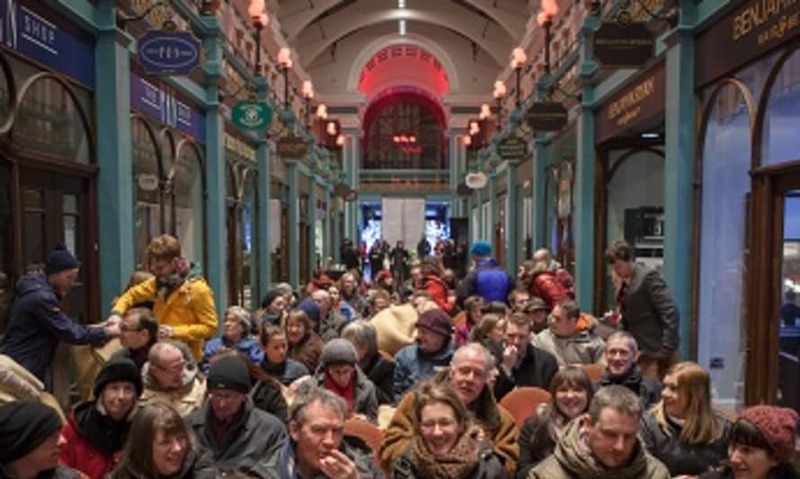 last night at the Great Western Arcade. One slight change to the advertised programme - Sol Cinema, the marvelous solar powered cinema will now be located on the High Street from 12-4pm.